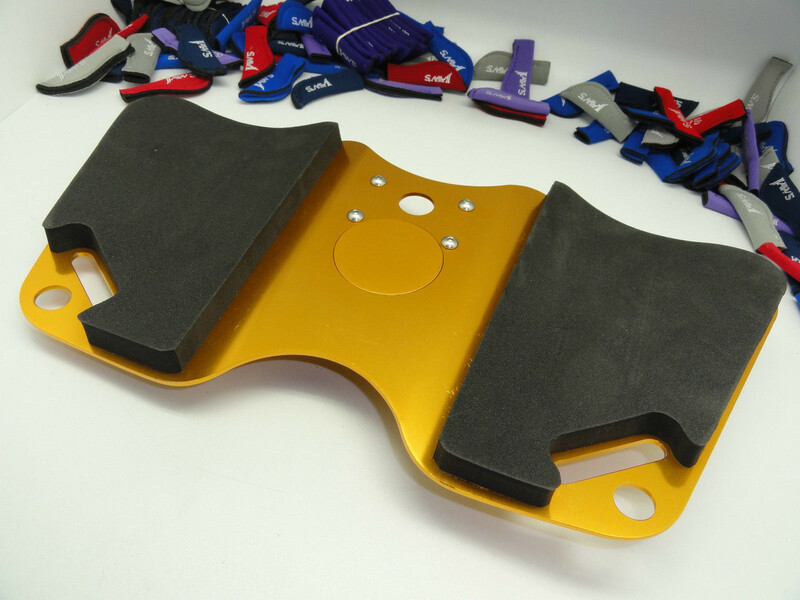 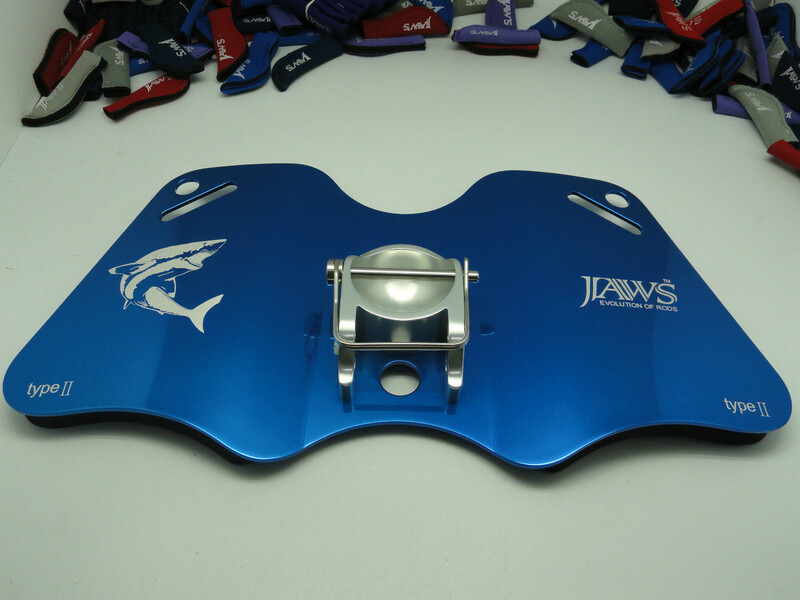 This Combo Package (Set) contains one Jaws Fighting Belt Type II "Size XXL" and one Jaws Type II Aluminum Dual Play Gimbal Plate/ Pad (please choose your preferred color of Plate on the below drop down listing). 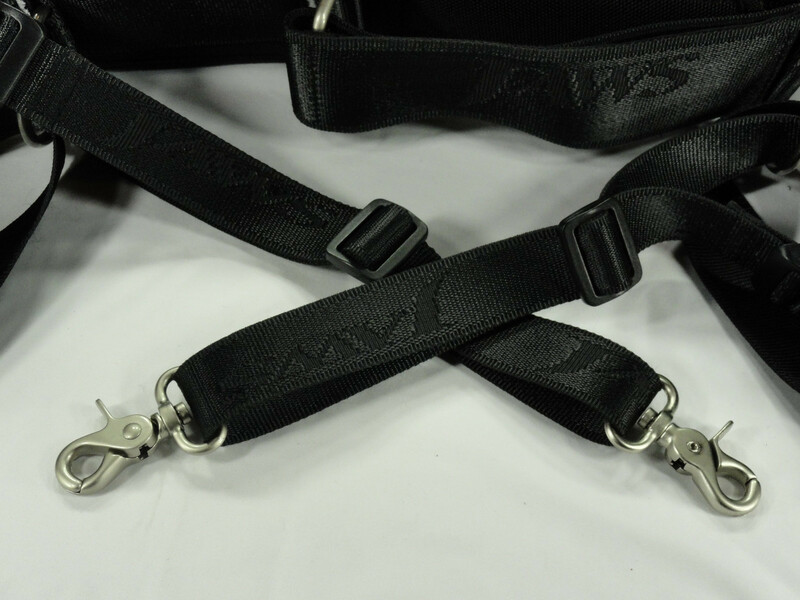 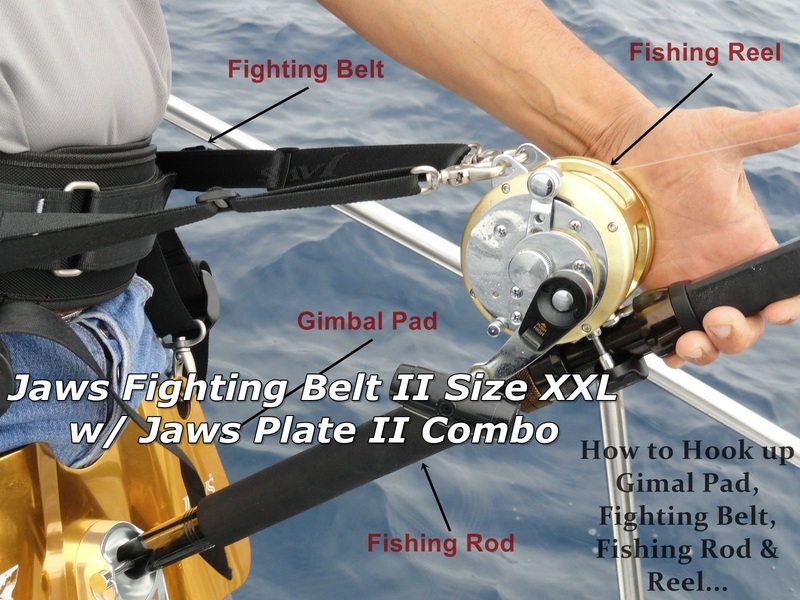 Jaws Ultimate Fighting Belt/ Harness Type II is all new design for Big Game Jigging Fishing Rod. 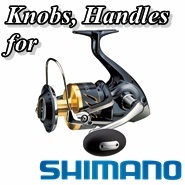 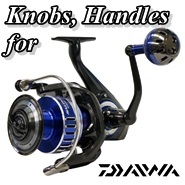 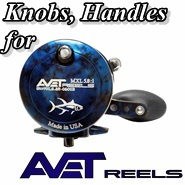 It has the most advance design in the market for serious anglers and it is suitable for all types of fishing styles. 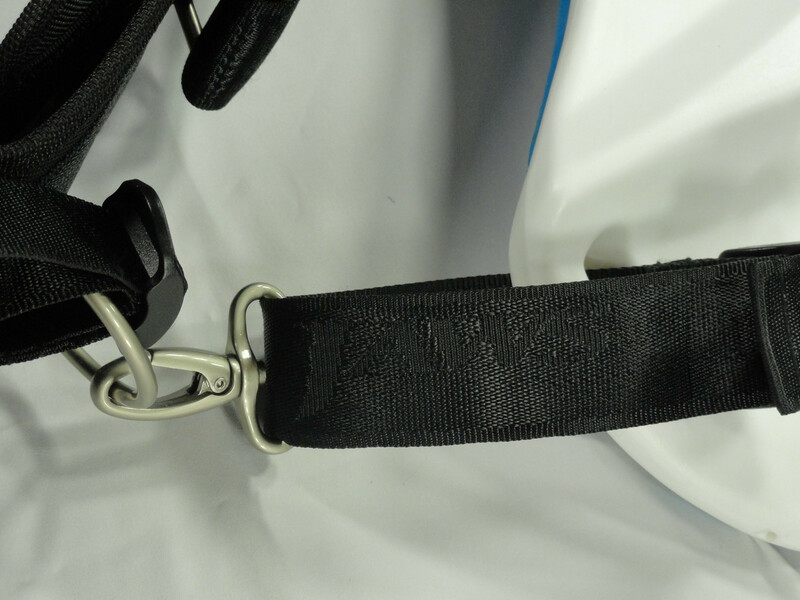 This Belt is with a large back support area that gives you more leverage to fight for the big one yet light weight for all day long comfort, also this belt has easy on/ off double Velcro that allows you to fast-wear when you need. 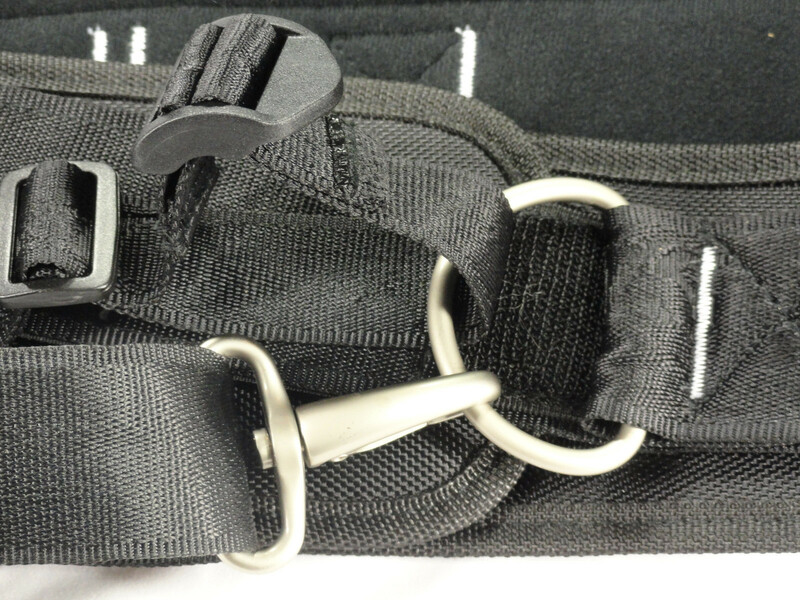 Quick release drop down snap buckle will fit most style of Gimbal Plate in the market; this belt comes with a drop down strap for both snap type plate or strap type plate. 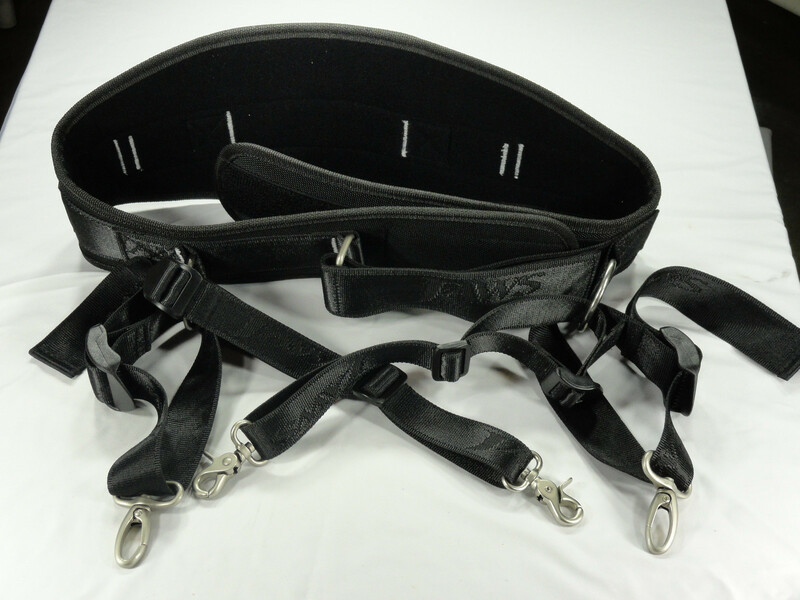 (XXL Belt Length 60"/ suggest waist size under 48”), Weight: 25oz; size XXL is the largest size we have; if your waist is bigger than 48”, we don’t have the matched one for you. 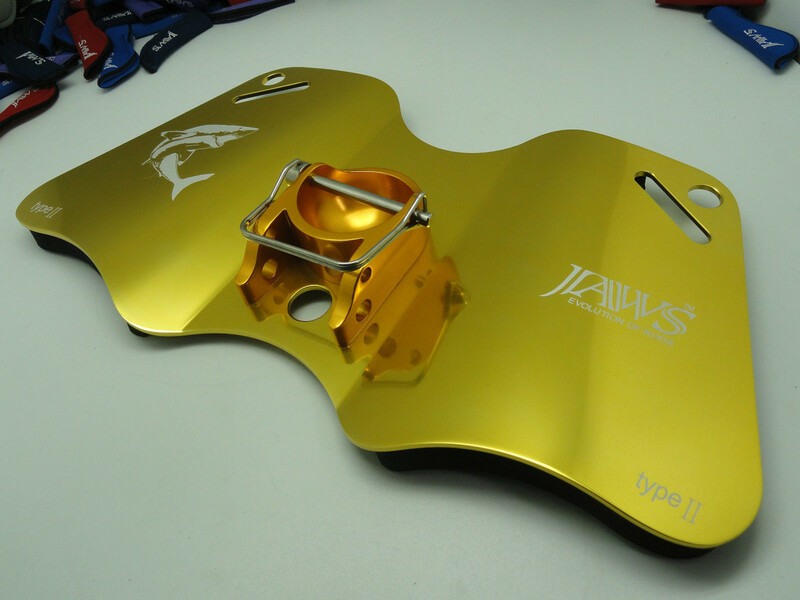 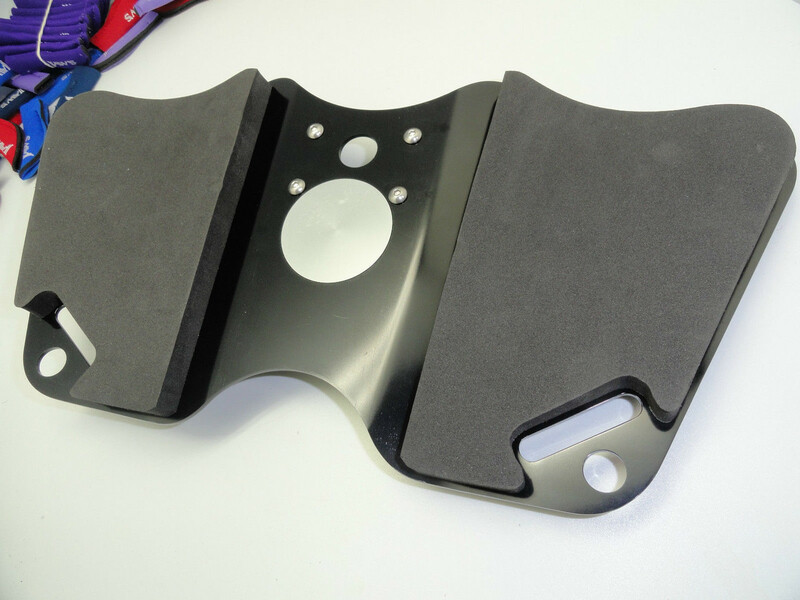 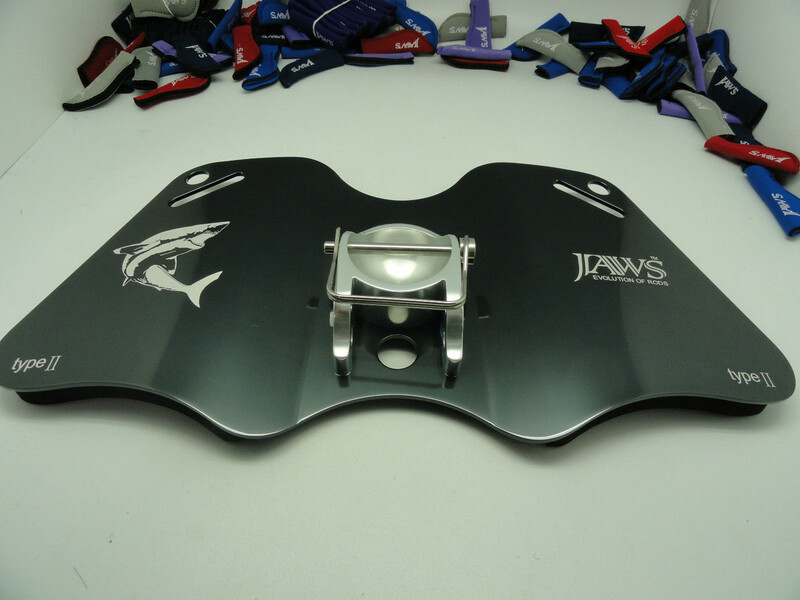 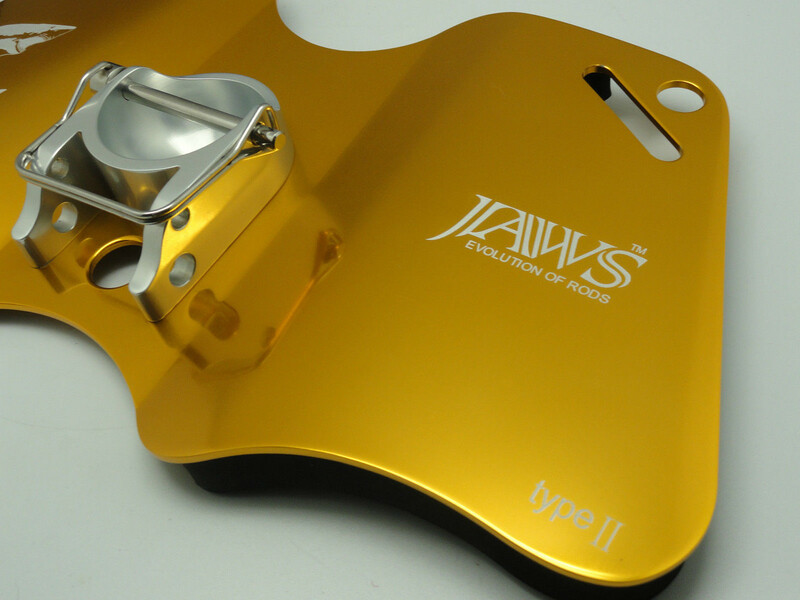 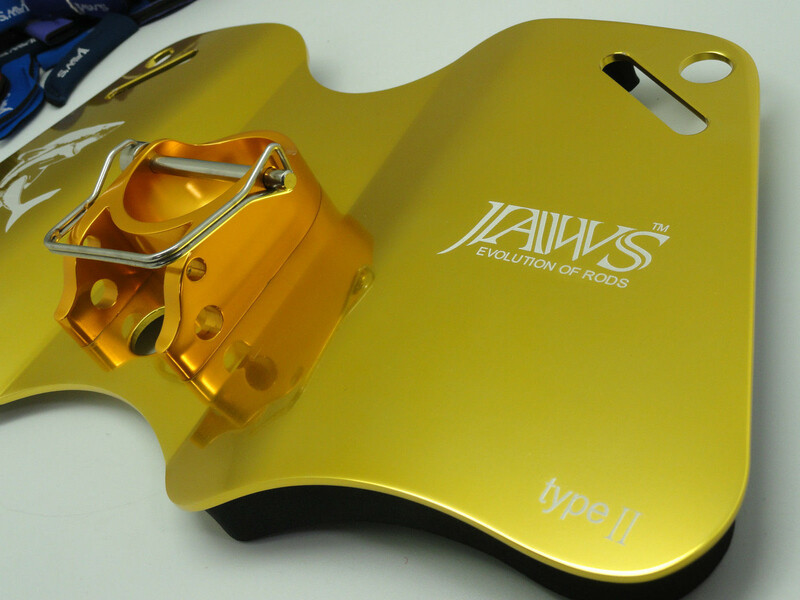 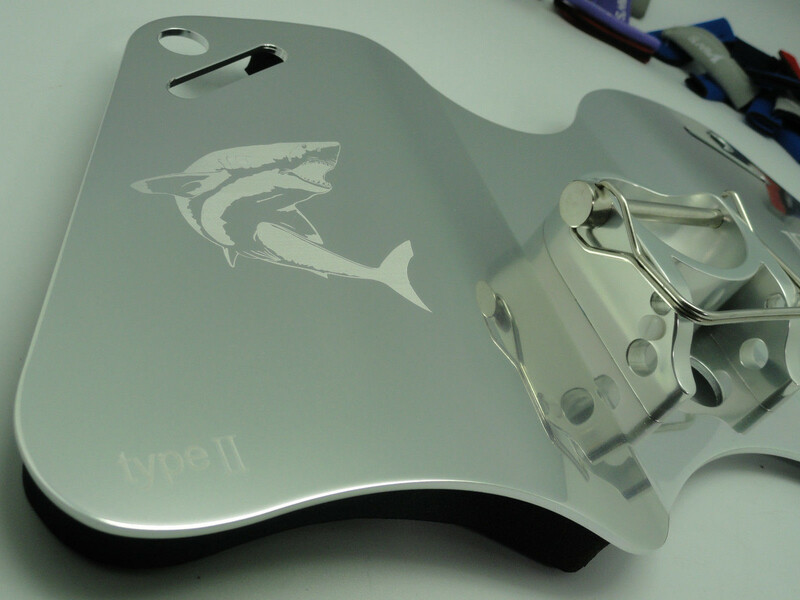 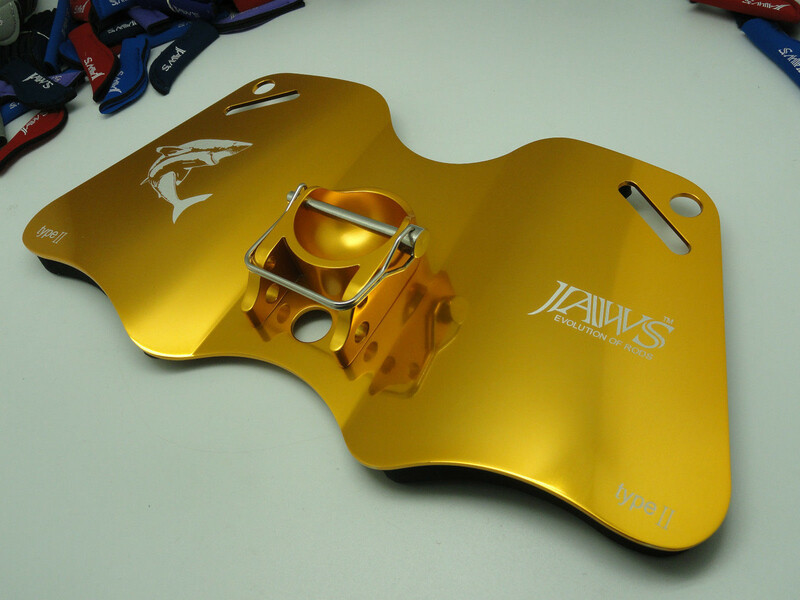 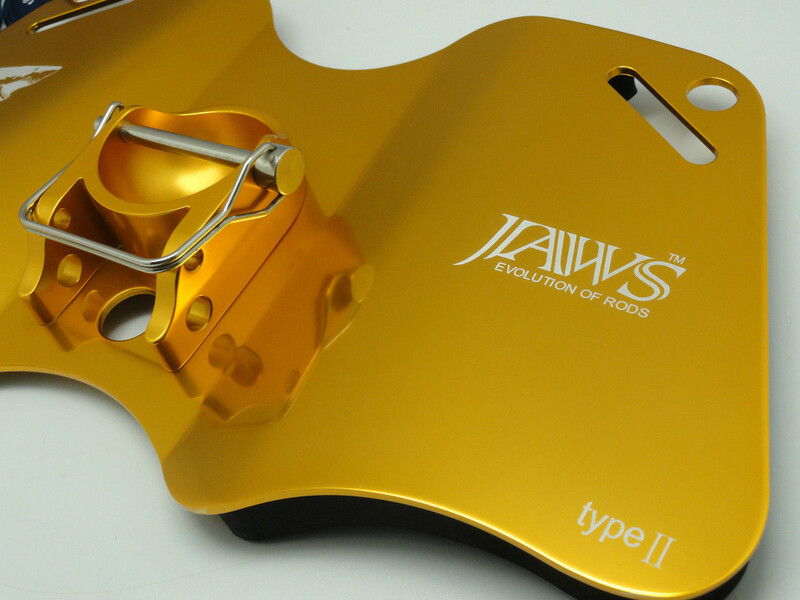 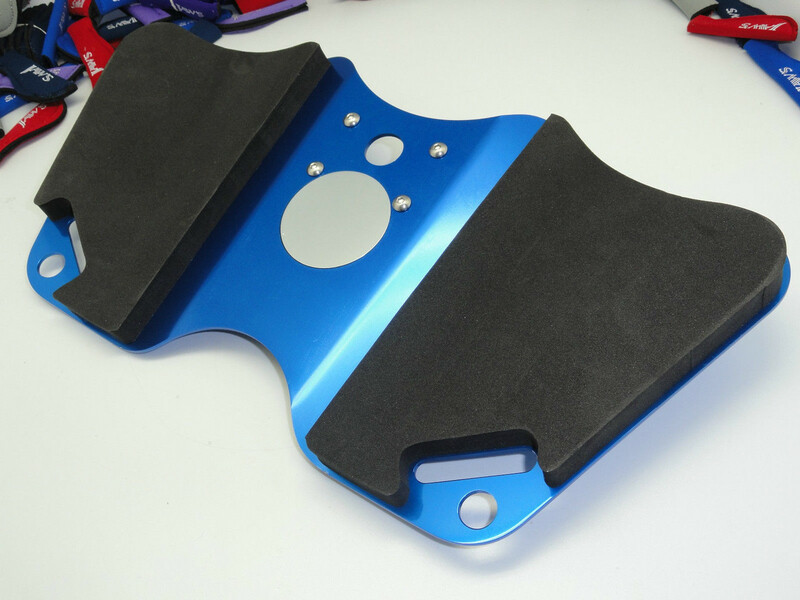 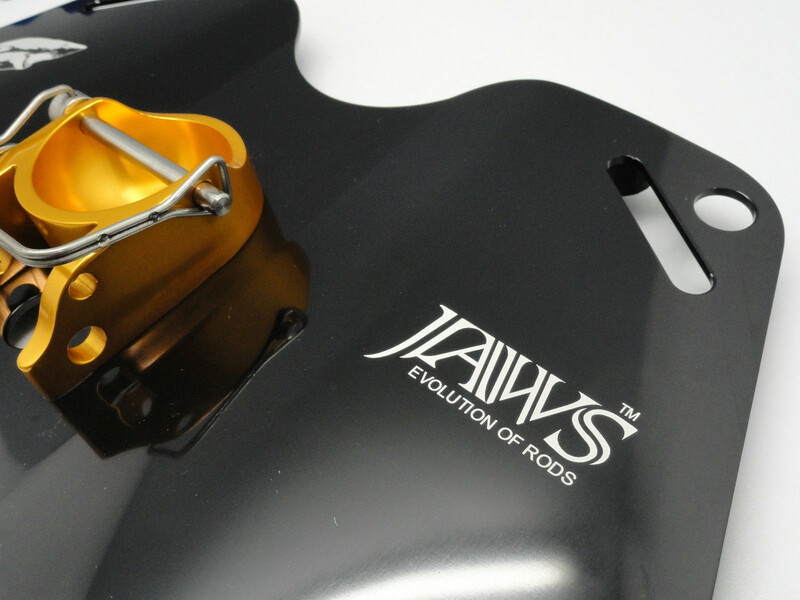 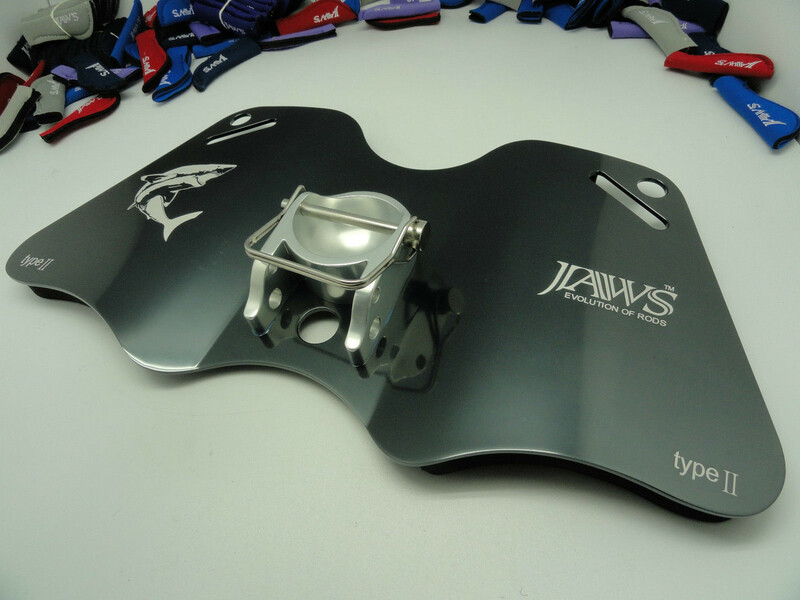 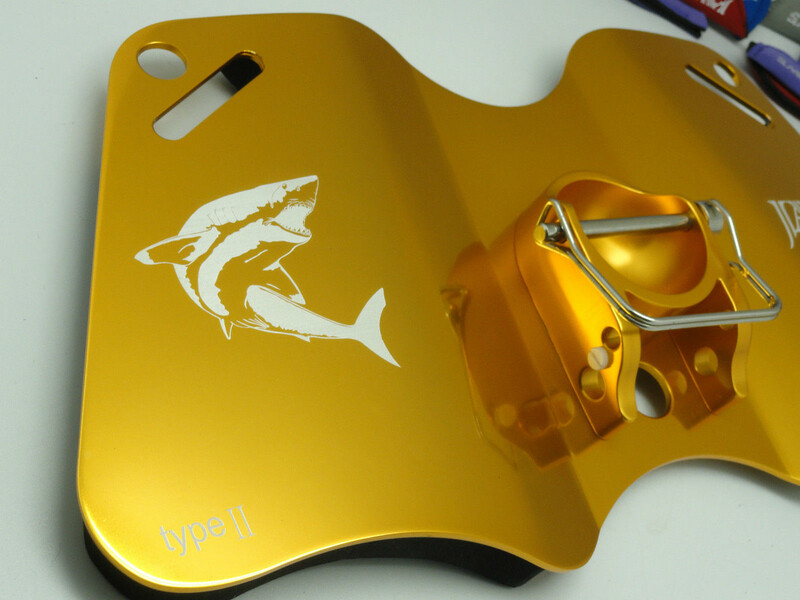 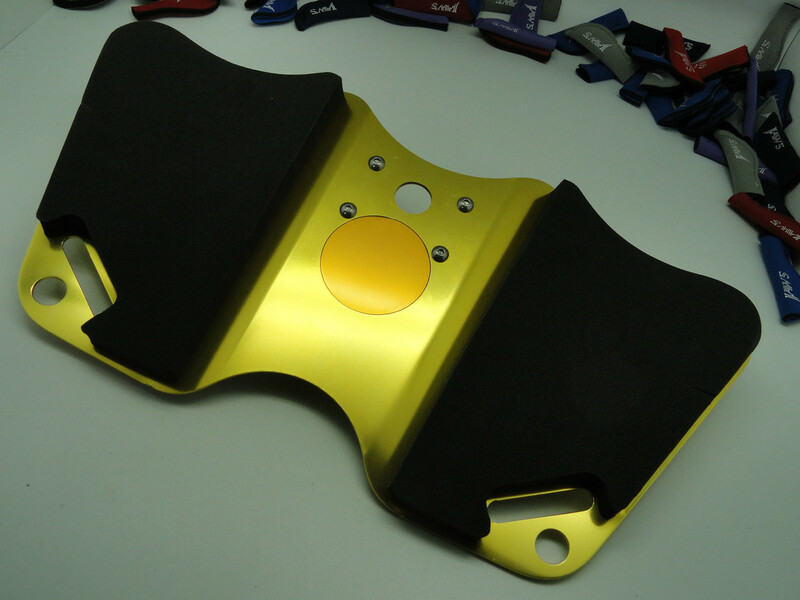 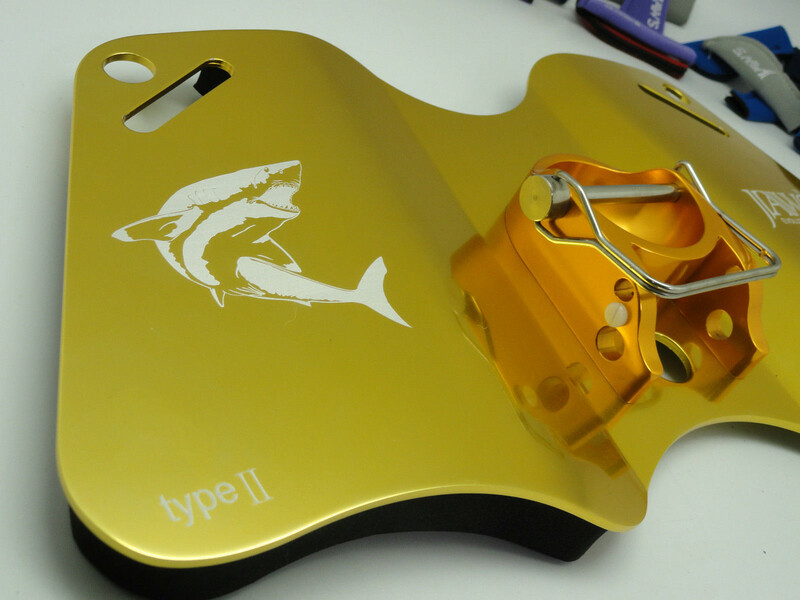 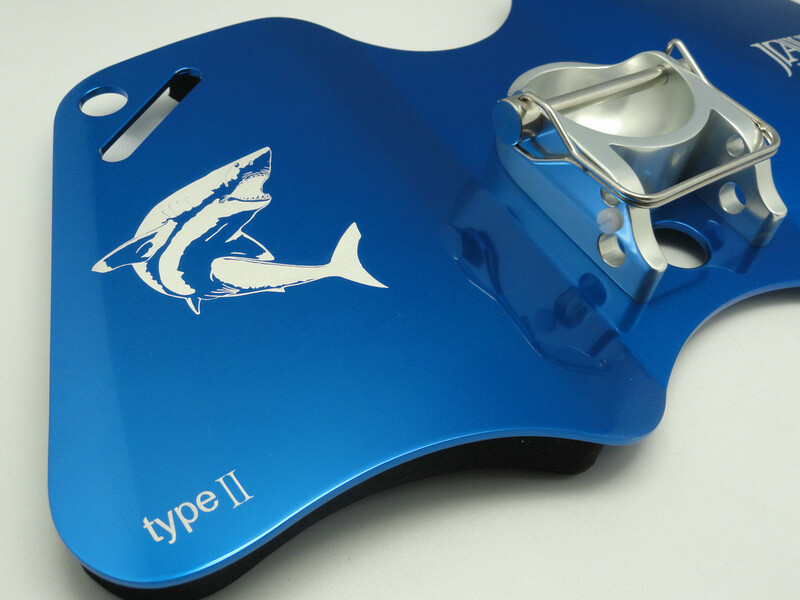 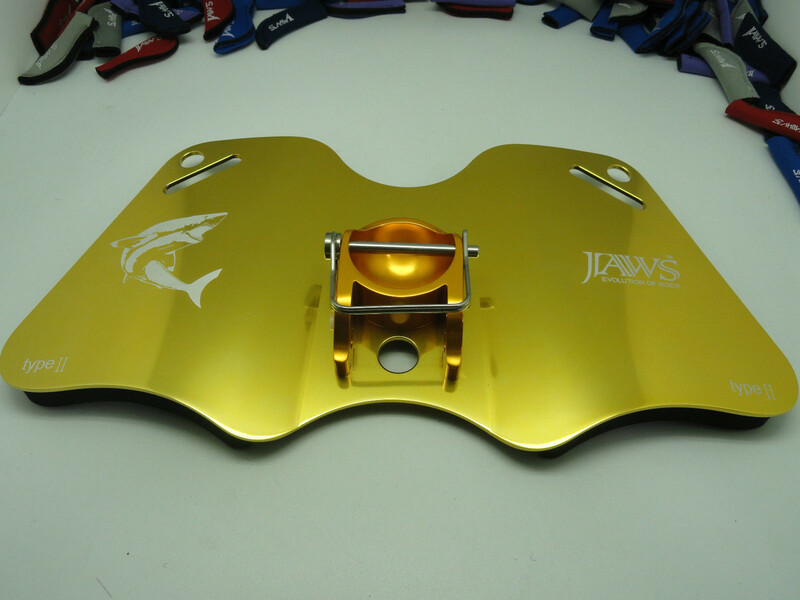 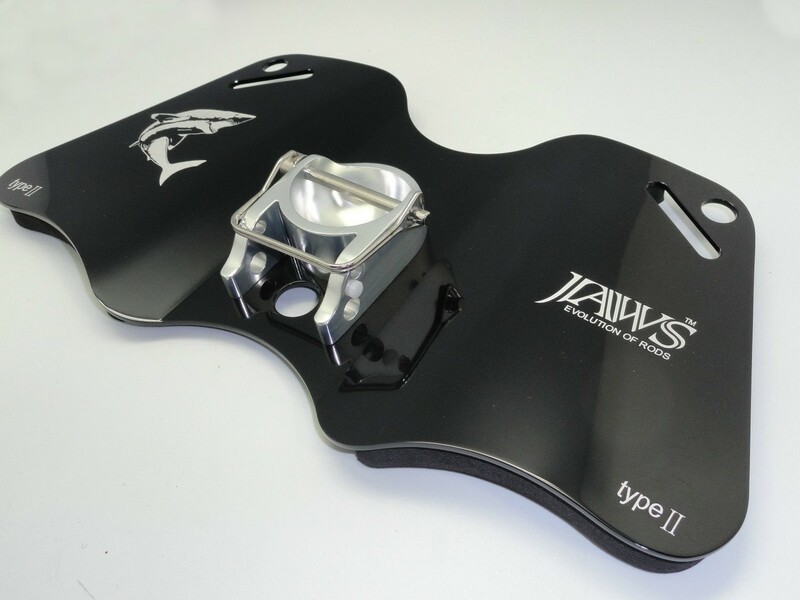 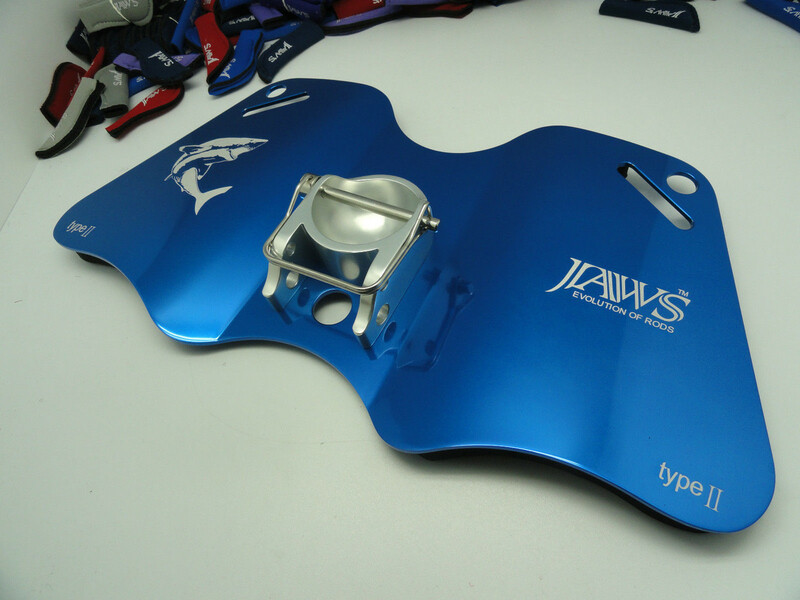 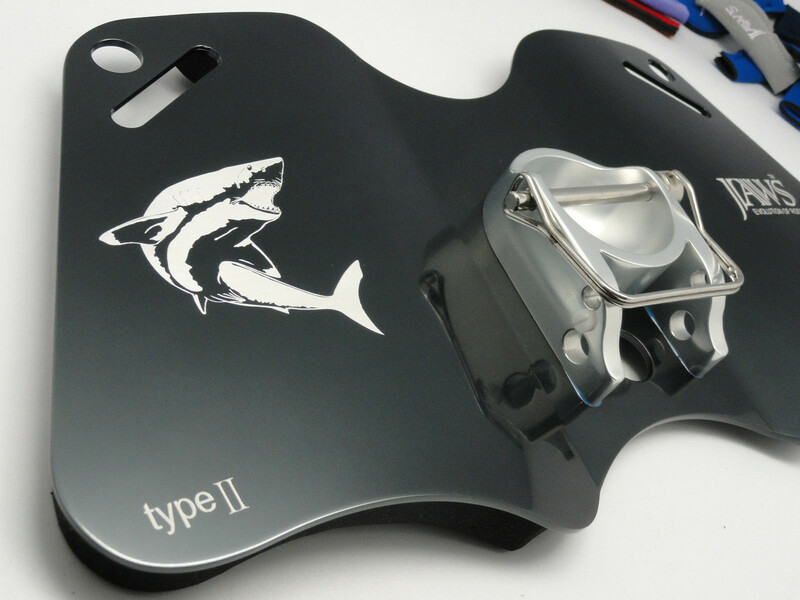 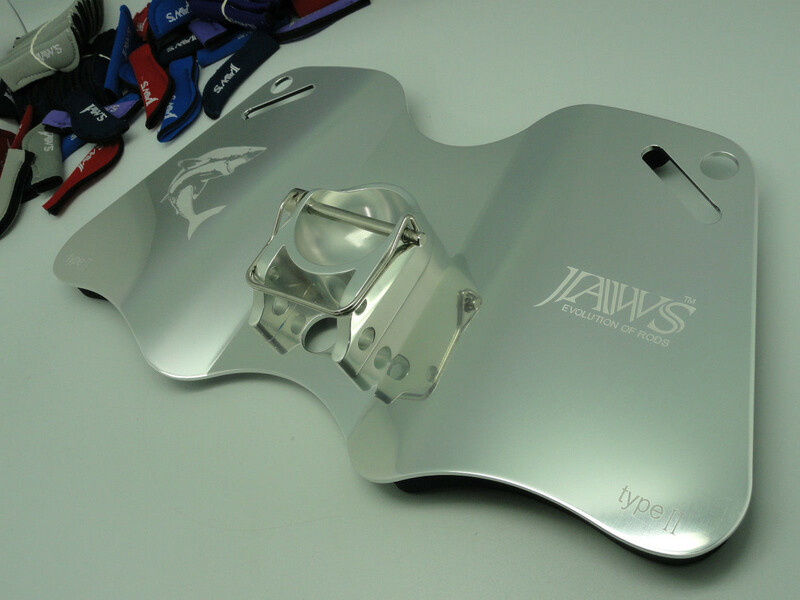 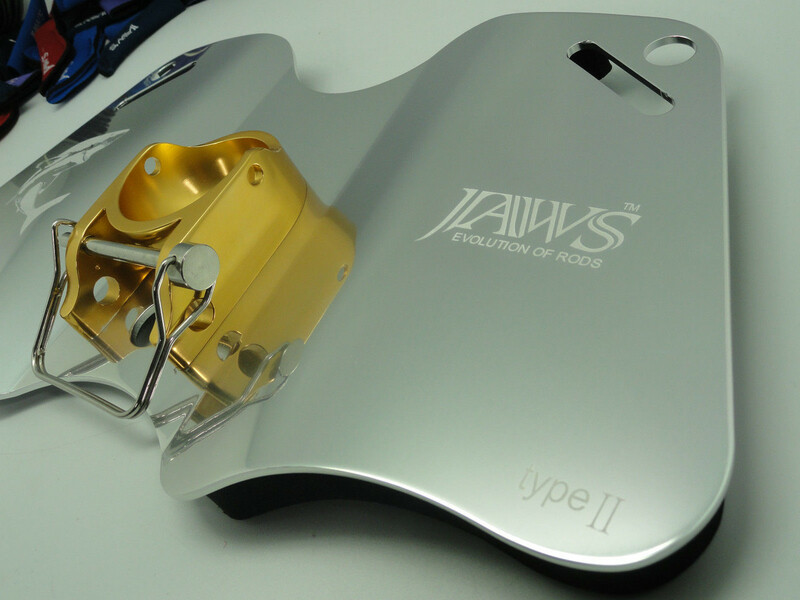 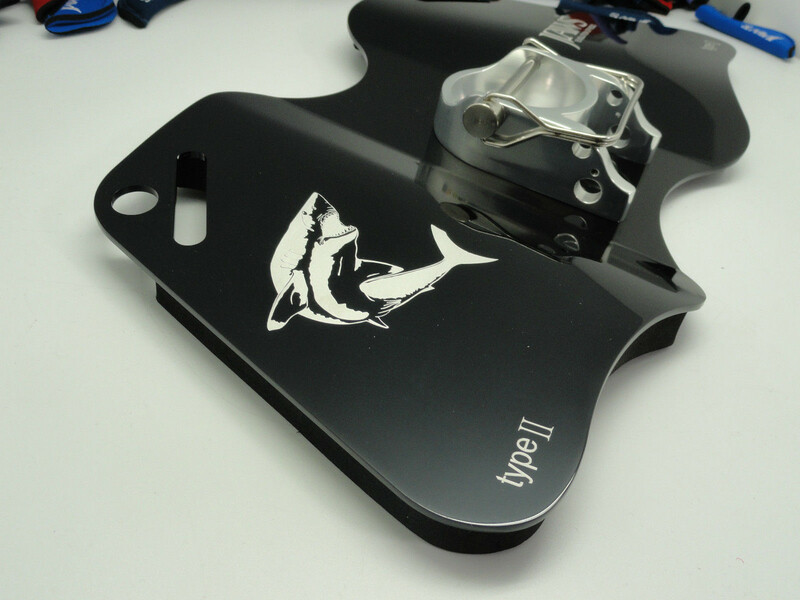 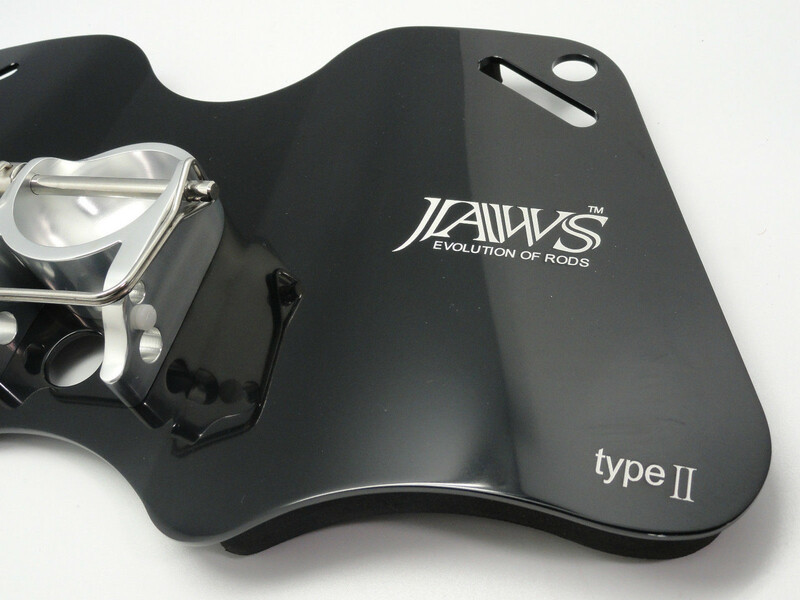 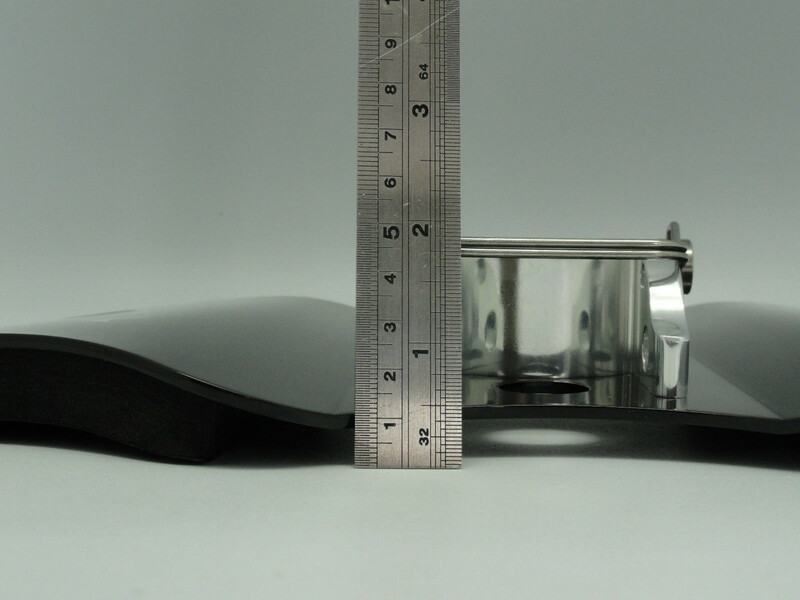 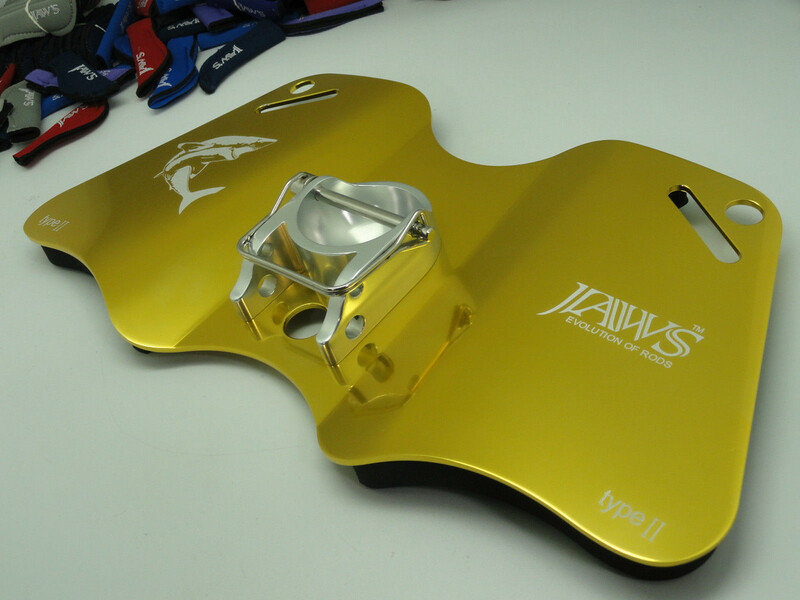 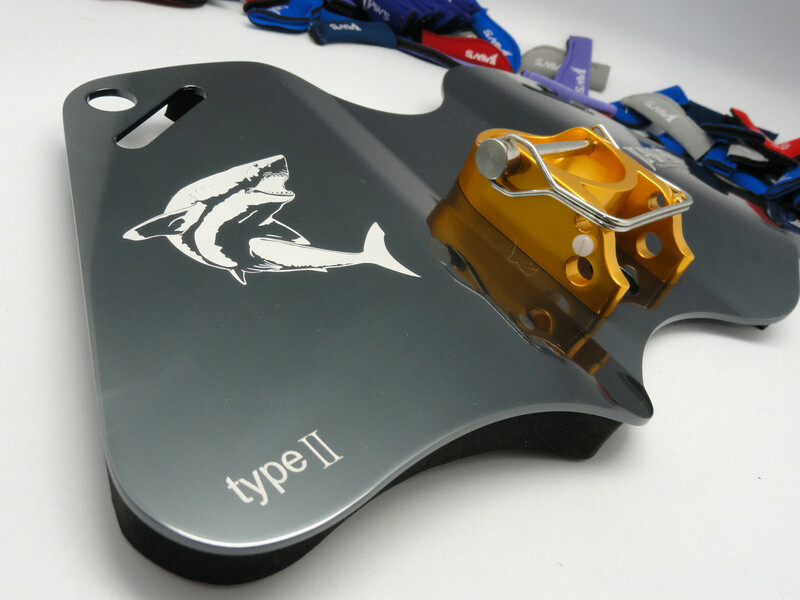 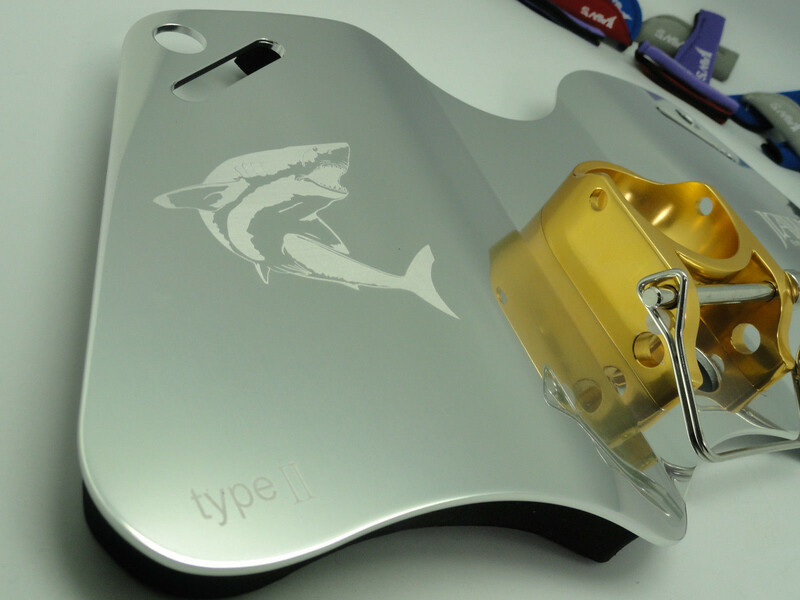 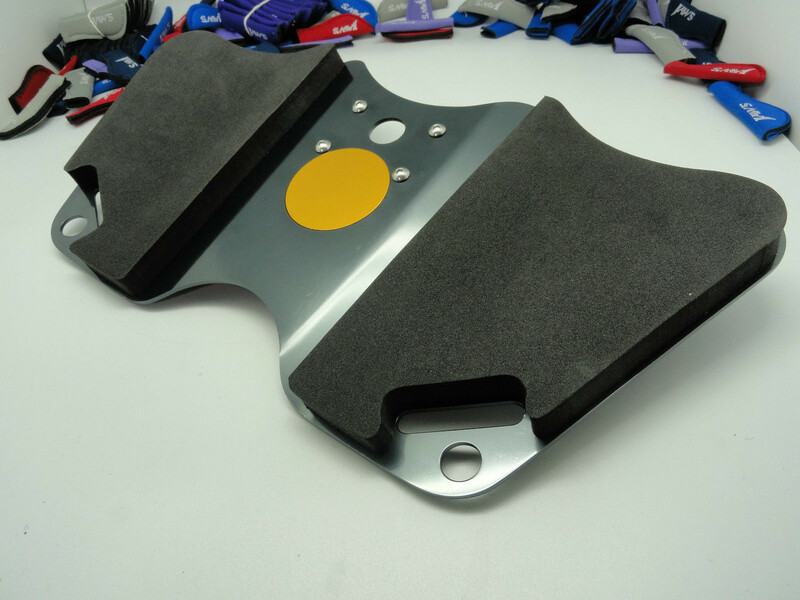 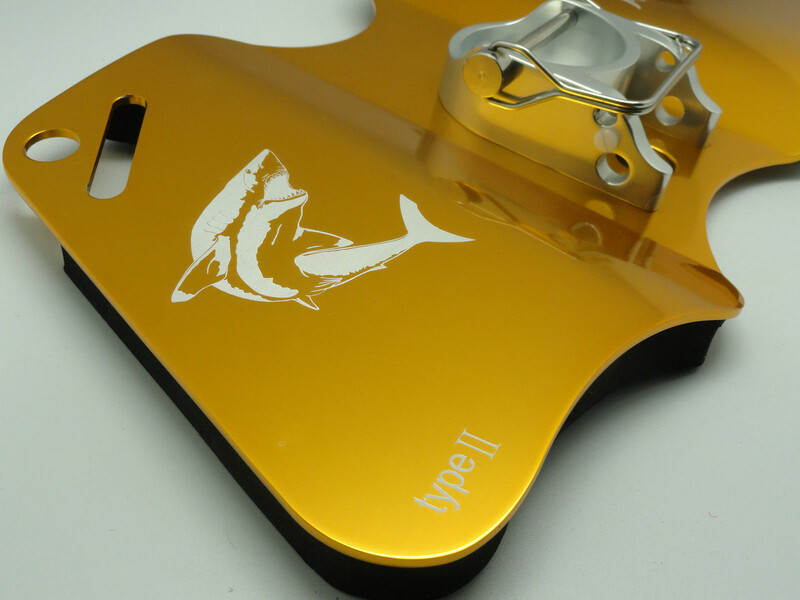 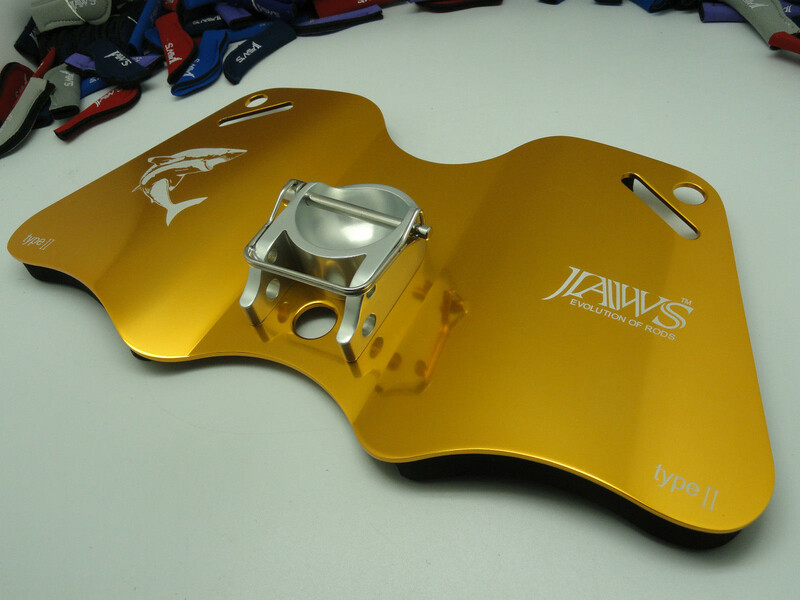 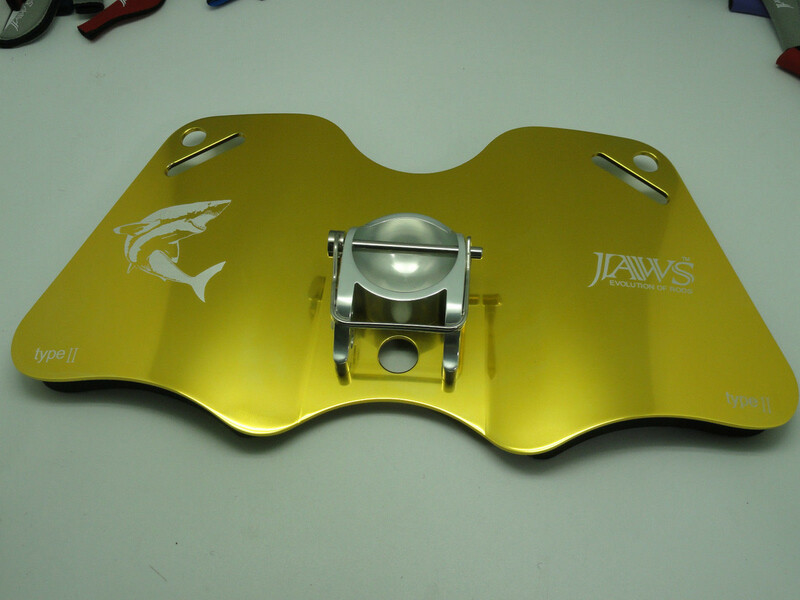 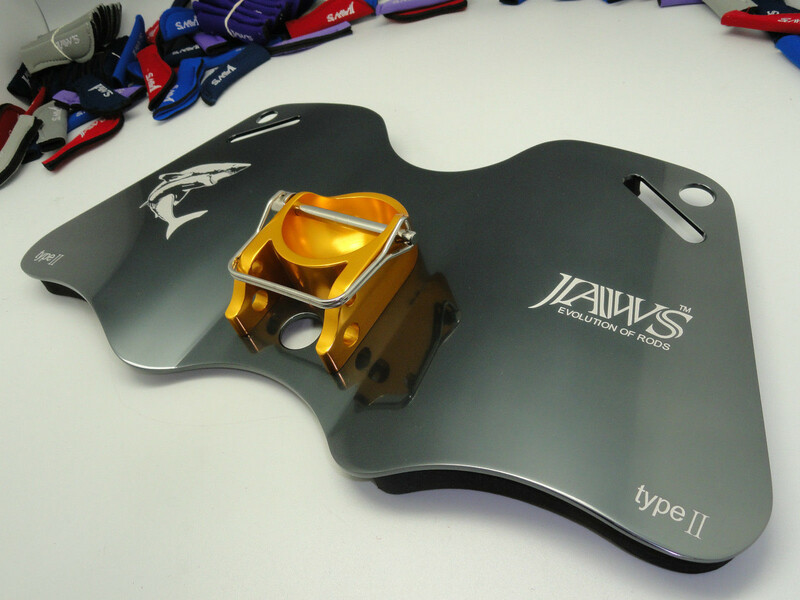 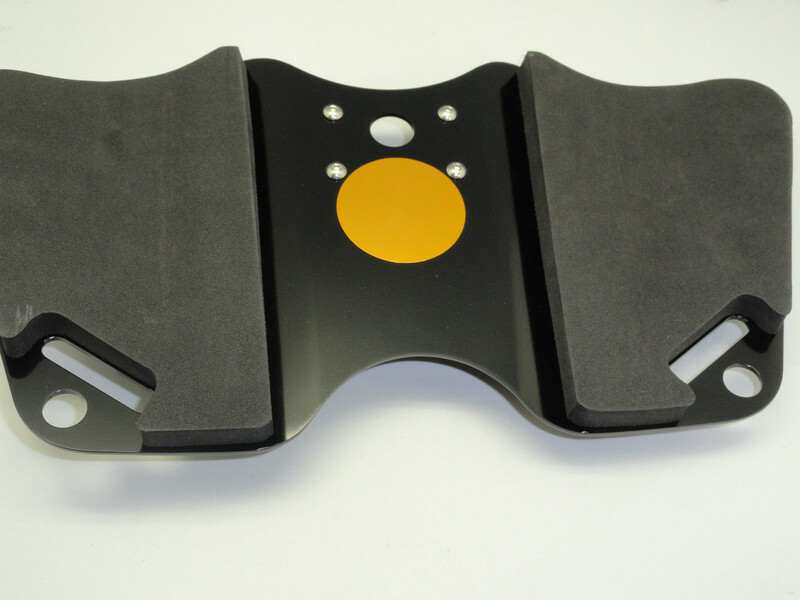 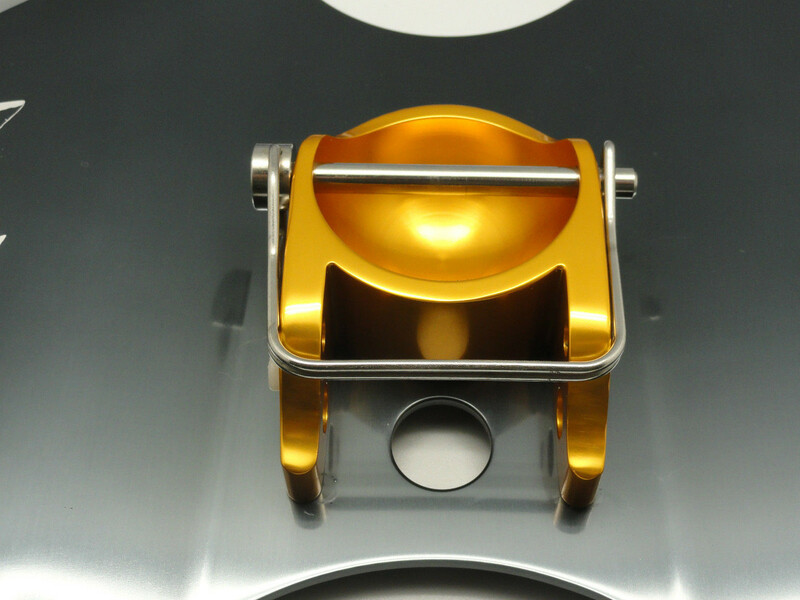 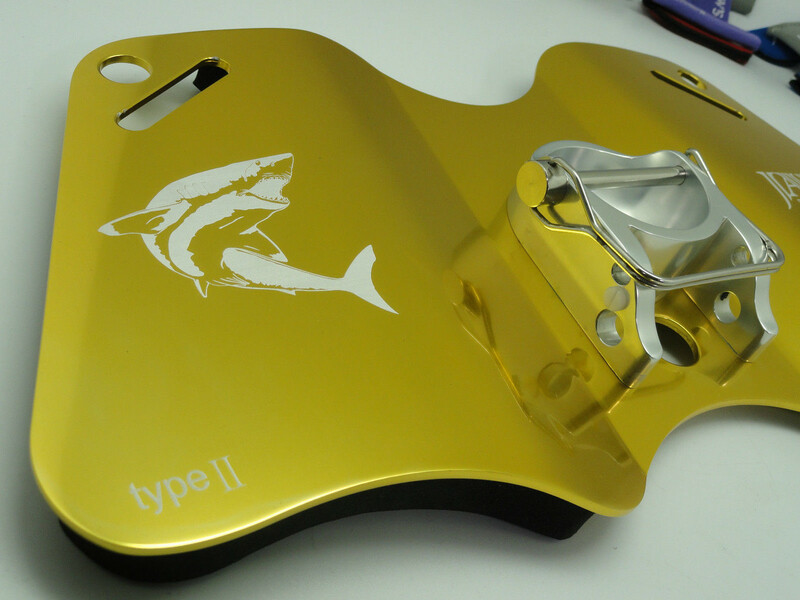 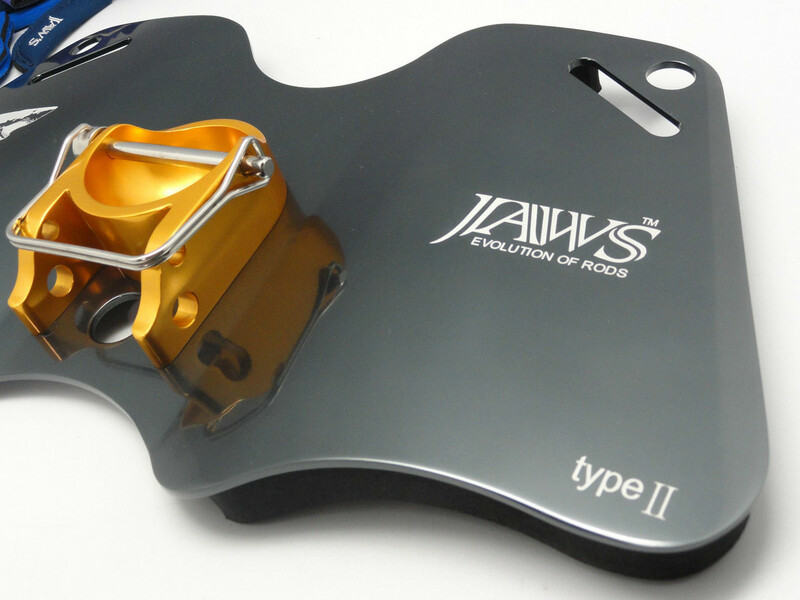 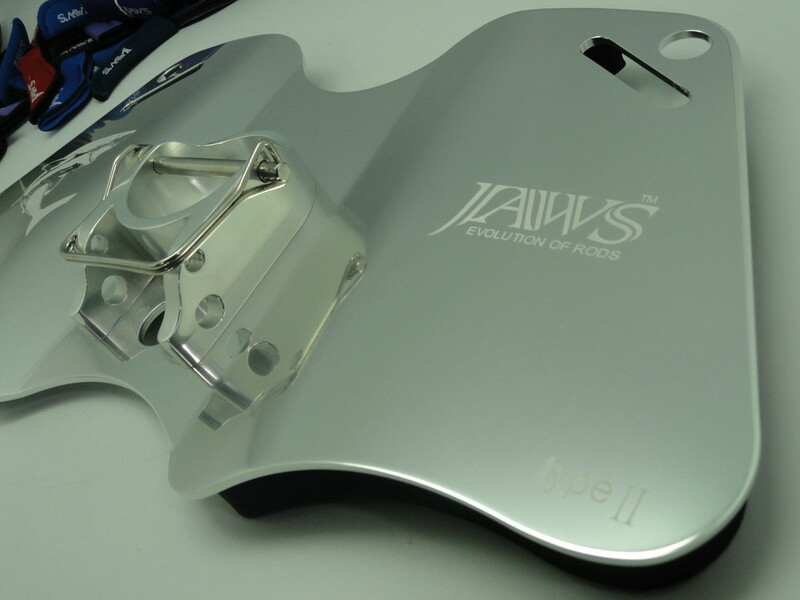 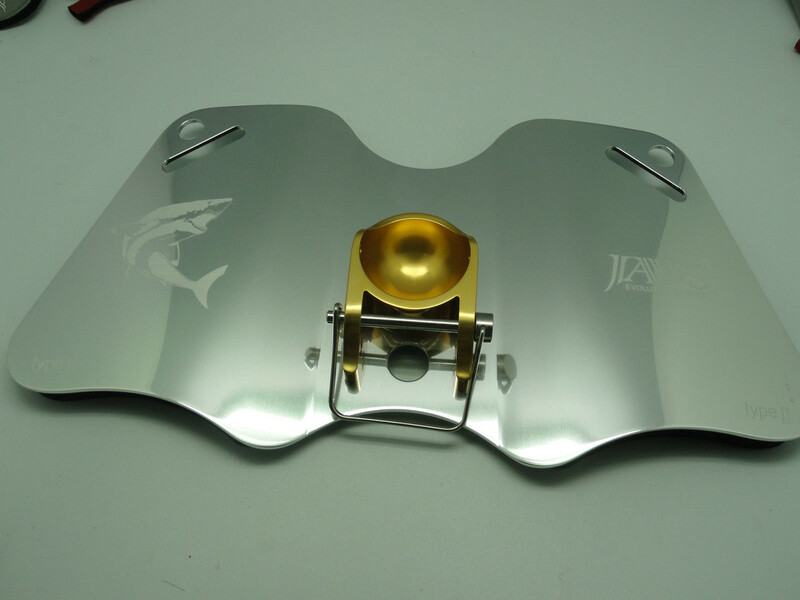 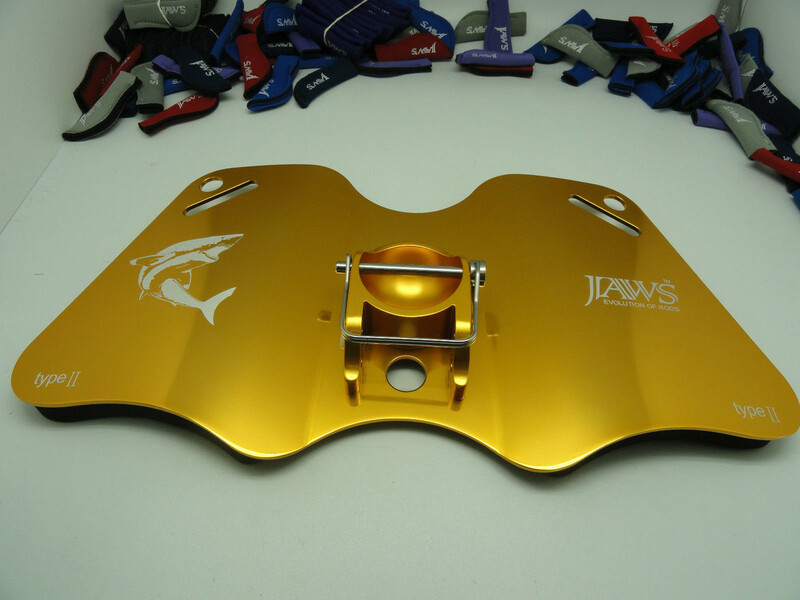 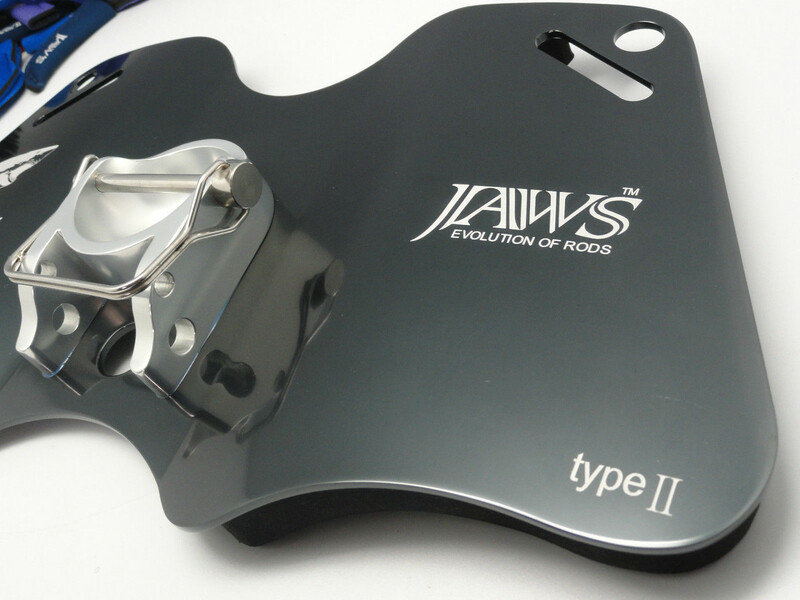 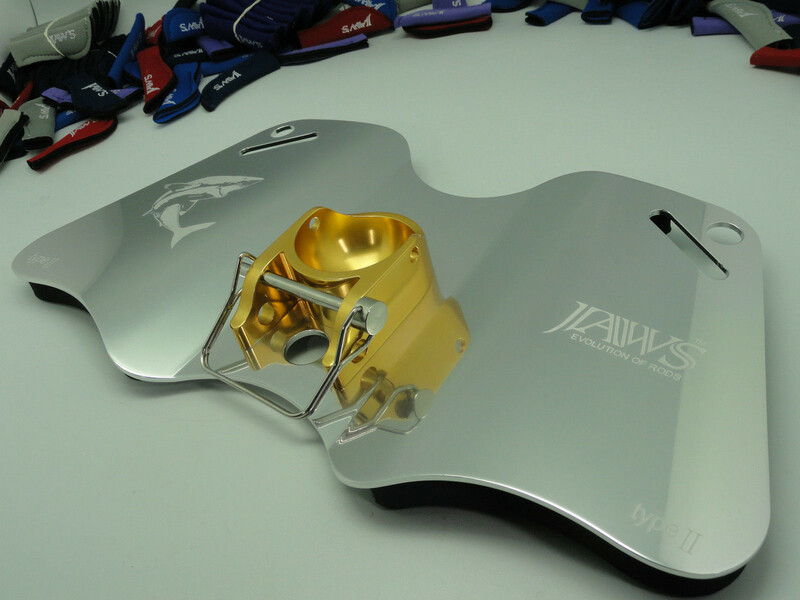 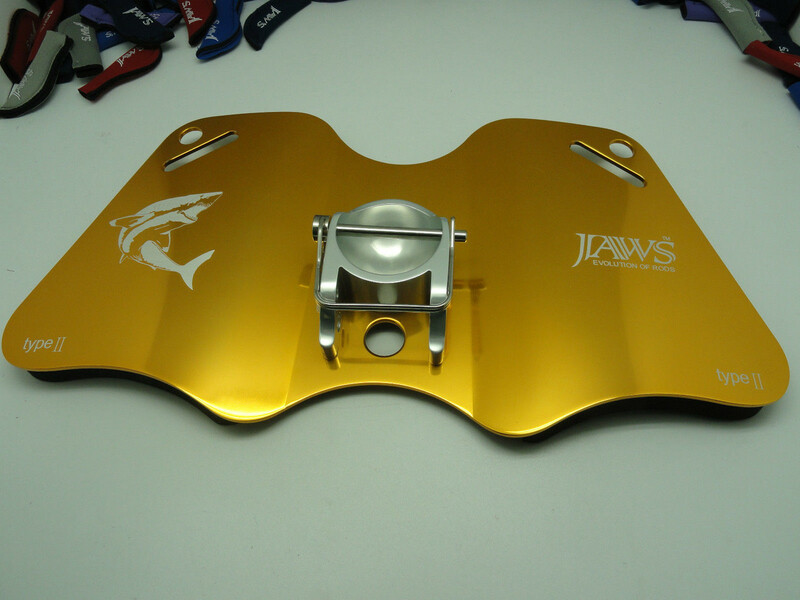 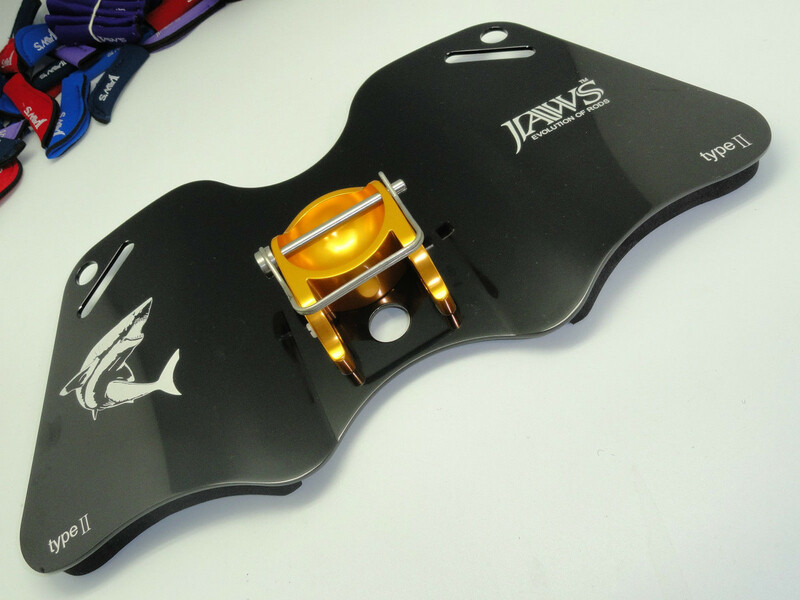 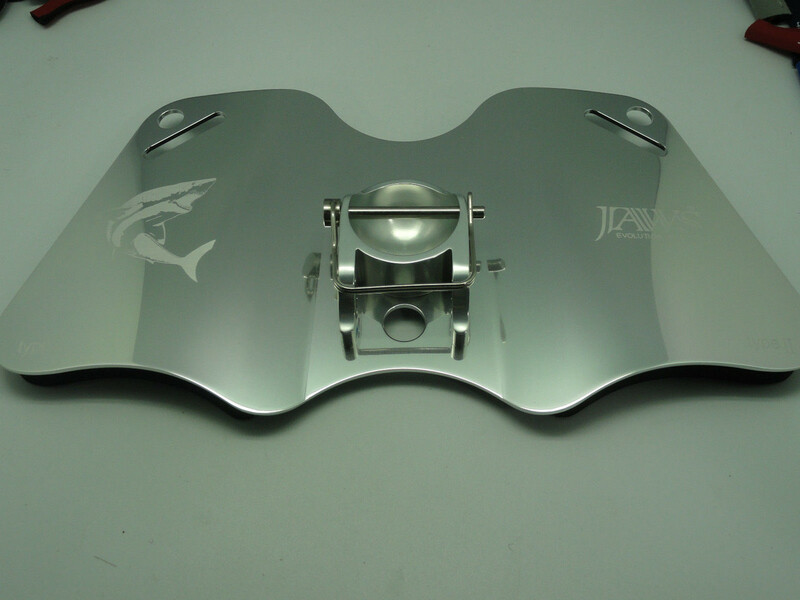 Jaws Type II “M” Shape Aluminum Dual Play Gimbal Pad is an all new design product and it is good for both Conventional and Spinning reel fishing styles. 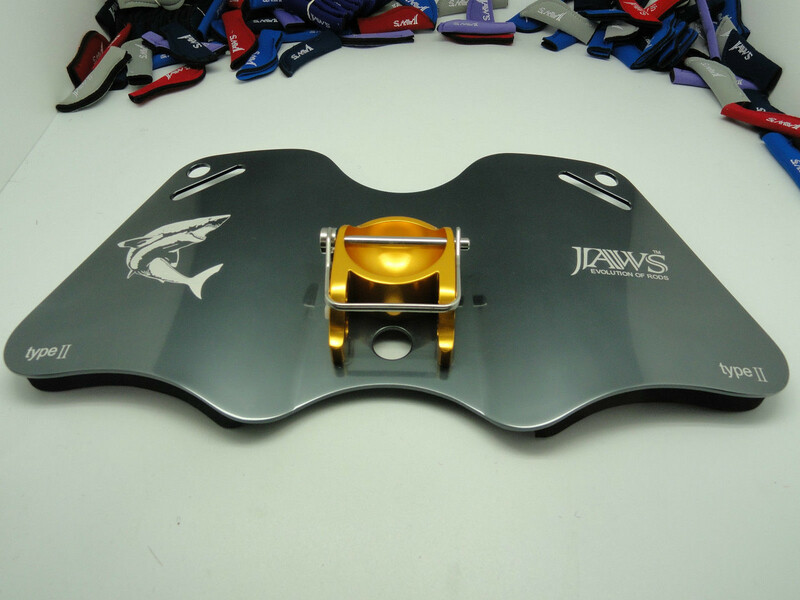 We have put this Pad in several field tests for years and it is very comfortable for all type of big game fishing, especially for Deep Sea Jigging and Butterfly Jigging anglers. 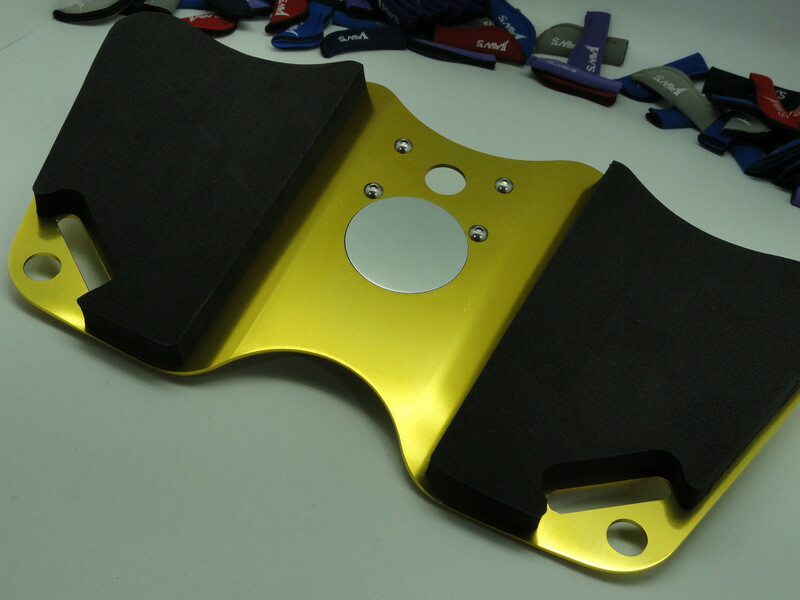 Machined cut from 6061 grade aluminum plate. 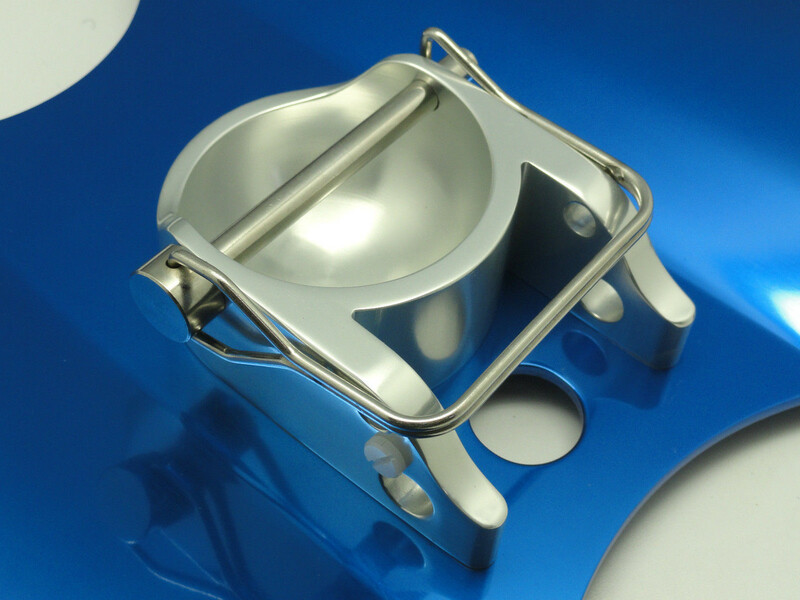 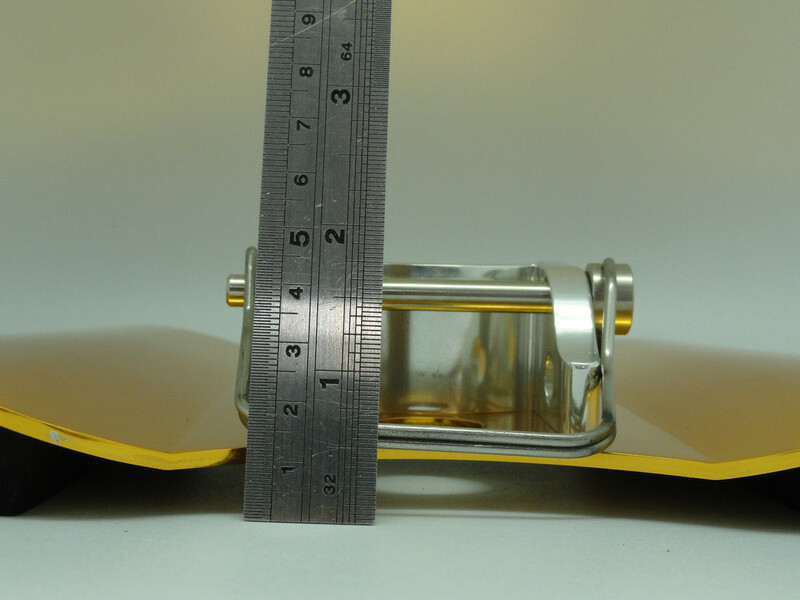 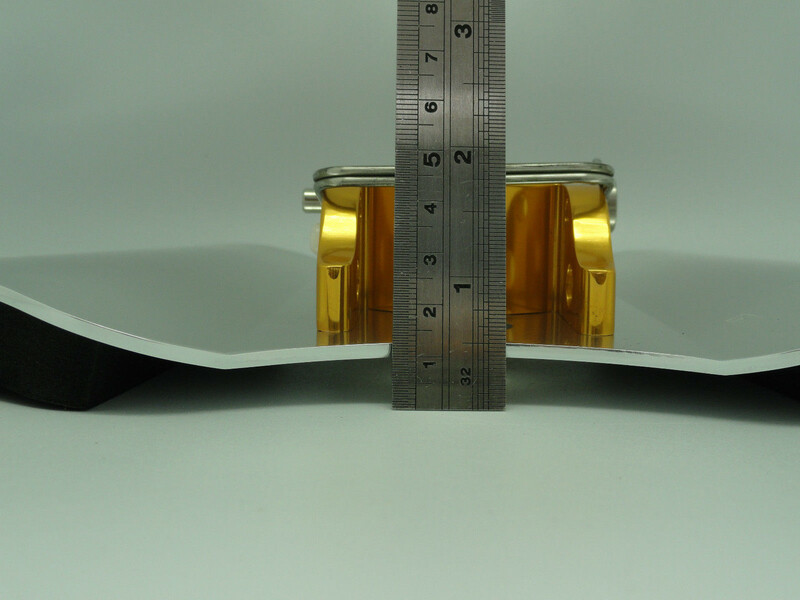 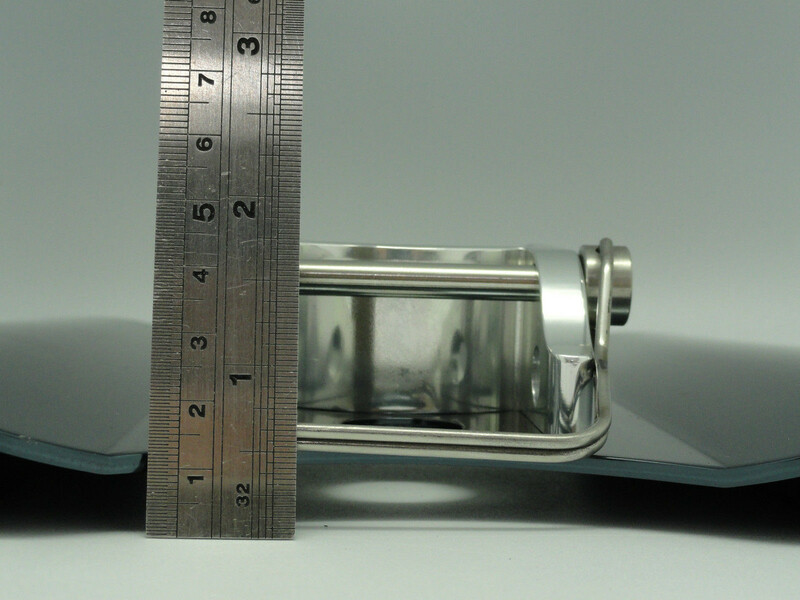 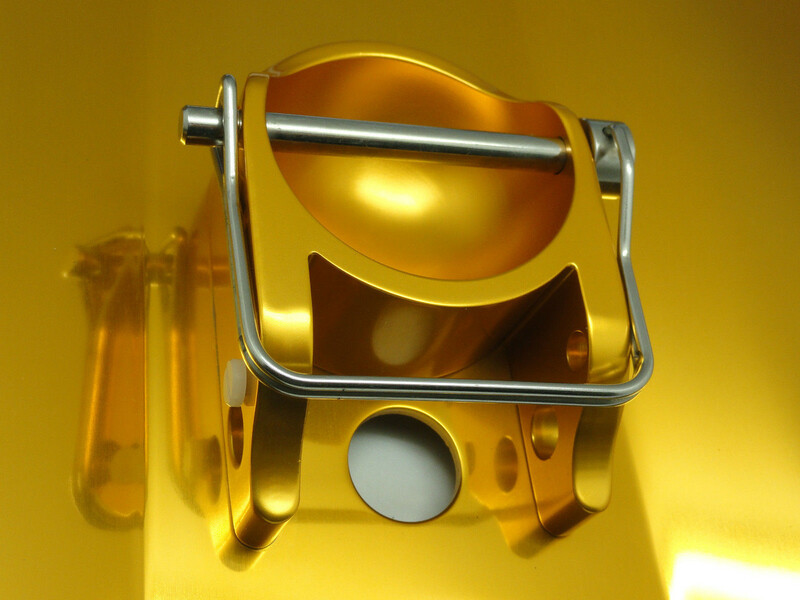 Machined cup from solid block 6061 aluminum. 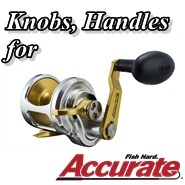 Stainless quick release pin allows you to switch and store it without any hustle. 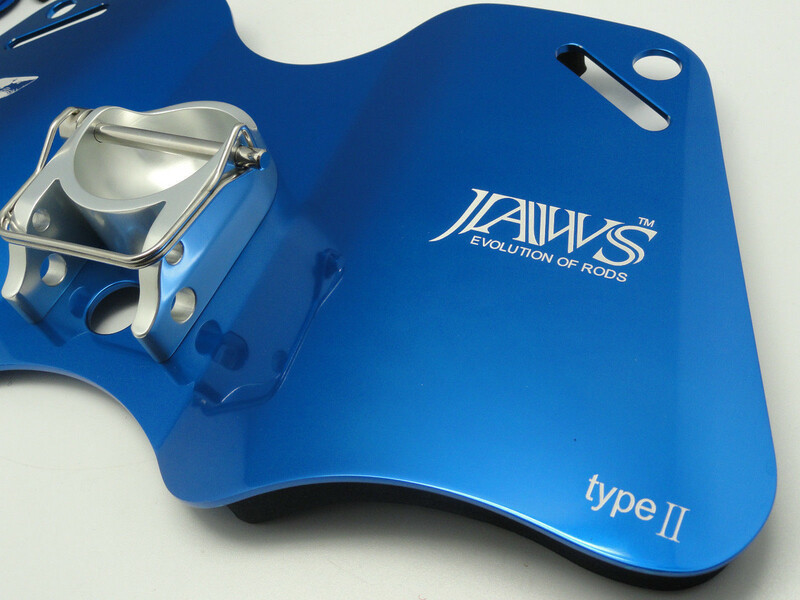 Type II Anodized, Stylish and Light Weight. 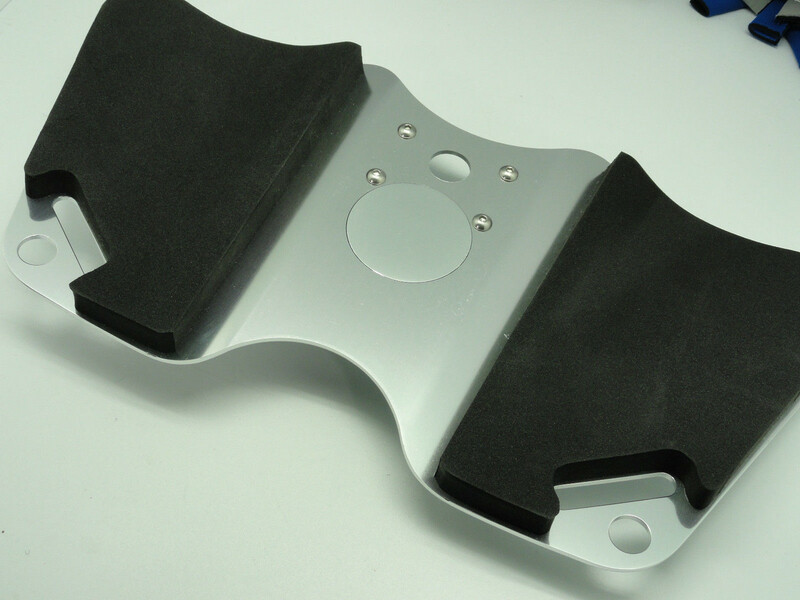 Ergonomic “M” Shape Designed that provides maximum comfort seating on your leg. 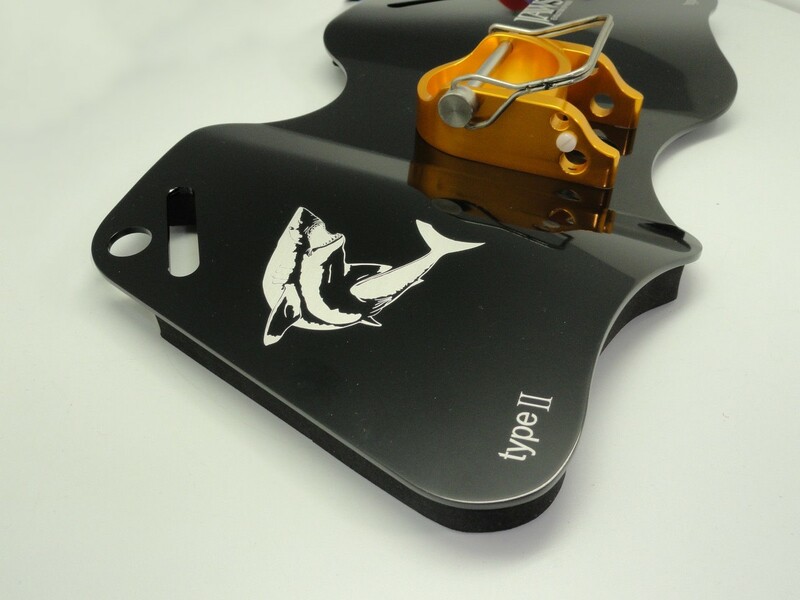 New designed holes: Plate has two different holes designed to fit any drop down strap connector. 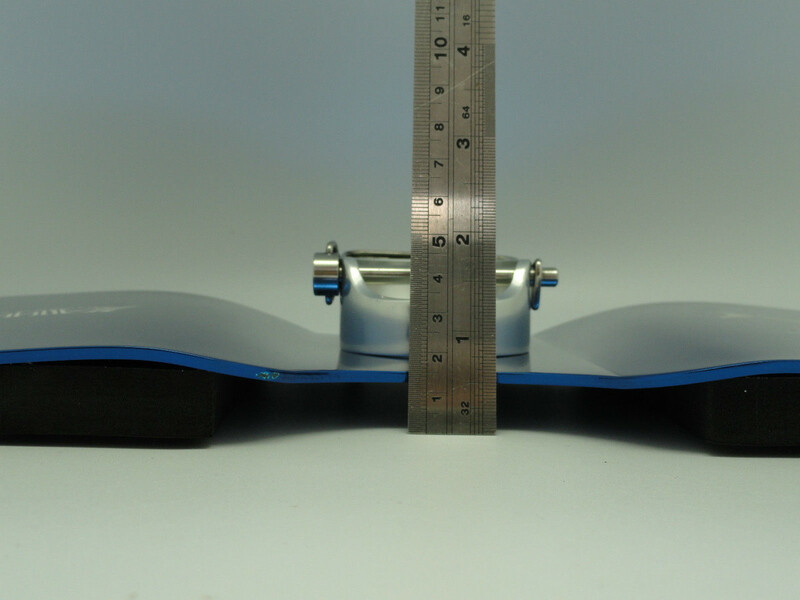 High: Low Profile only 2”. 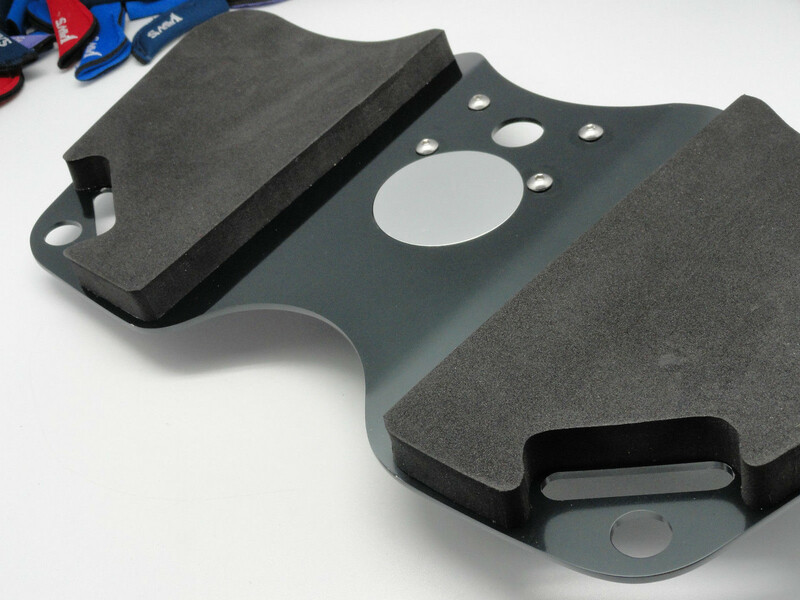 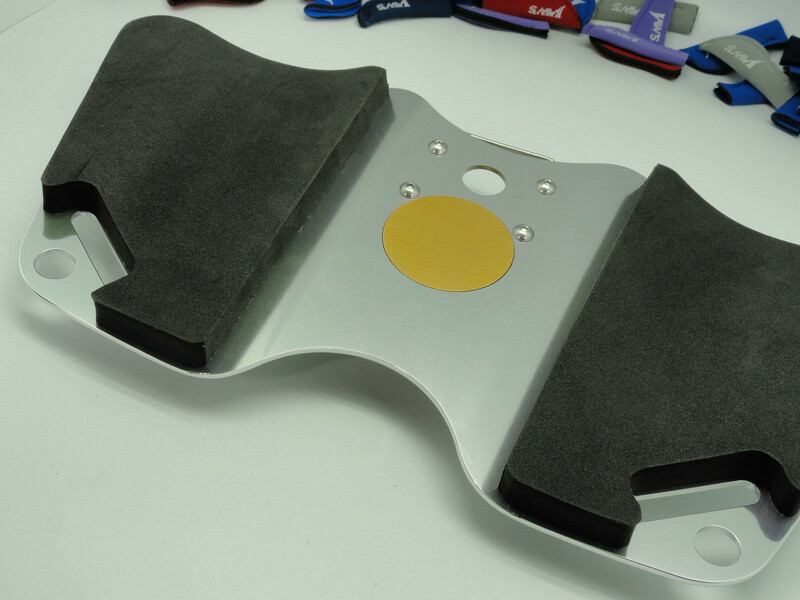 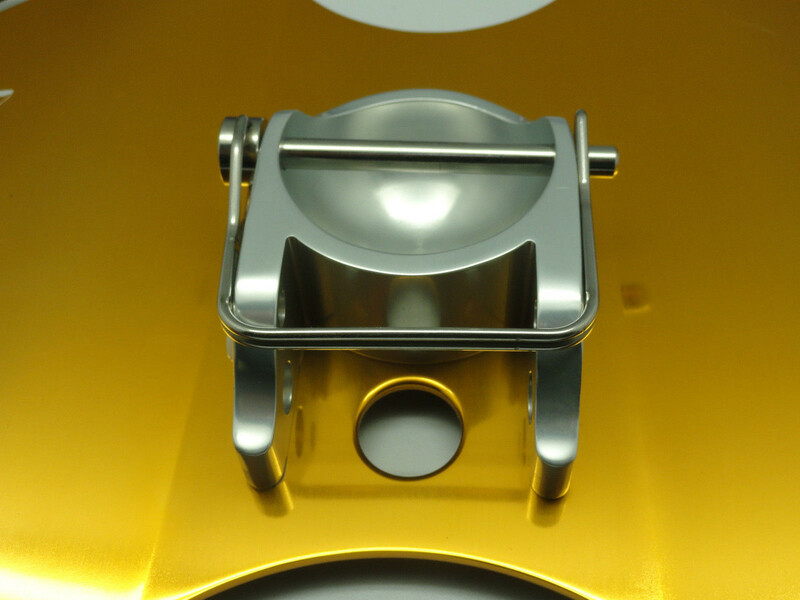 The Eva Padding is about 3/4" thick and the stainless gimbal pin is universal standard to fit all type of gimbal.